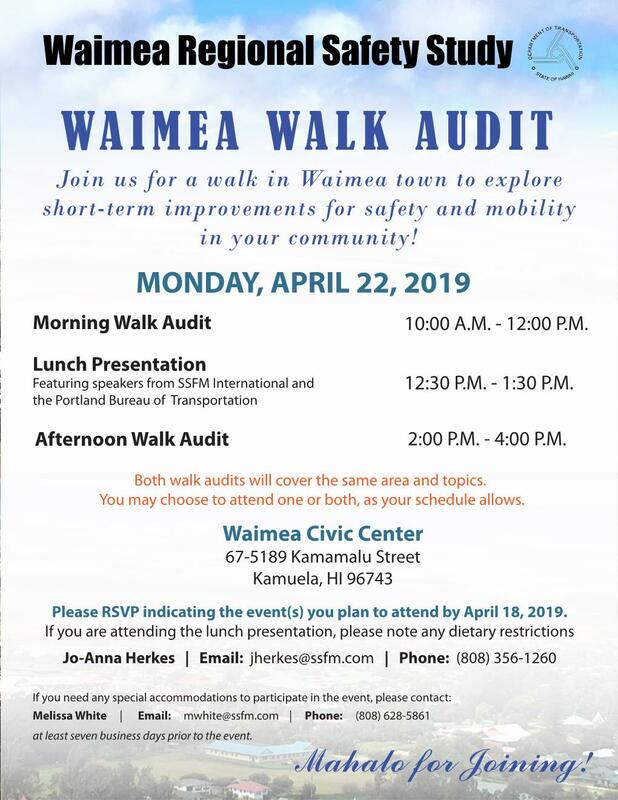 The State of Hawaii Department of Transportation is initiating the Waimea Regional Safety Study and is conducting environmental review as part of a Planning and Environmental Linkages (PEL) process. PEL represents a collaborative and integrated approach to transportation planning that involves the community to inform the decision-making process as it relates to the environment, economy, and community. As community members, you intimately know the transportation issues and challenges in and around Waimea Town.